Pad thai is a stir-fried rice noodle dish commonly served as a street food at most restaurants in Thailand. This is the Traditional Food of Thailand. This is the street food, So I prefer you to taste this from any roadside shop not from a big restaurant. 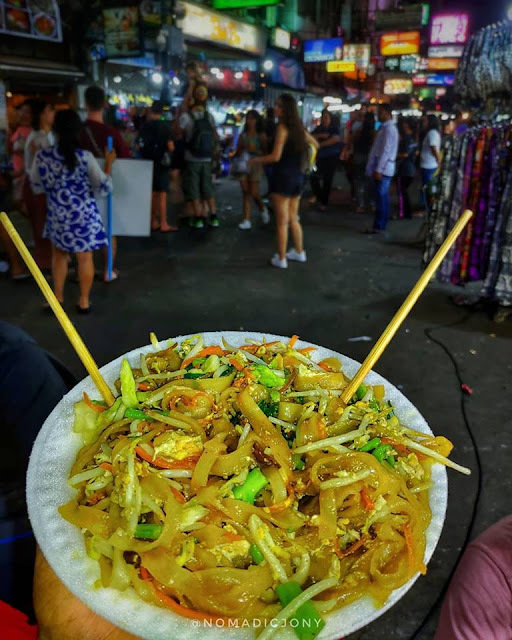 I ate this from a roadside stall, at Khaosan Road, Bangkok. It costed me 40 Thai Bhatt (Around ₹100). The taste was good (Not so delicious 😅). Must Try, if you are planning to visit#Thailand.